​Lots of special events, prizes and surprises in store! "I cant thank you enough for the most fabulous holiday. I literally do not want to go home. I was lucky enough to have the last seat and had reservations as i didn't not know anyone on the trip.... Well that's all changed. I am definitely a family member of the Costa Del Jive, Thank you all so much . So much effort has been put into this to make everyone holiday a fabulous one"
"I have sent out quite a few recommendations all around the xxxx area so hopefully will get some extra people for you. It was a great week for me and you outclass any other dance or dance holiday organisation, so you are stuck with me as a regular customer now!" THIS IS OPEN TO ALL DANCERS WHETHER YOU HAVE BEEN ON ONE OF OUR HOLIDAYS OR NOT........... we are all dancers. It will be pay on the door. Price to be confirmed. 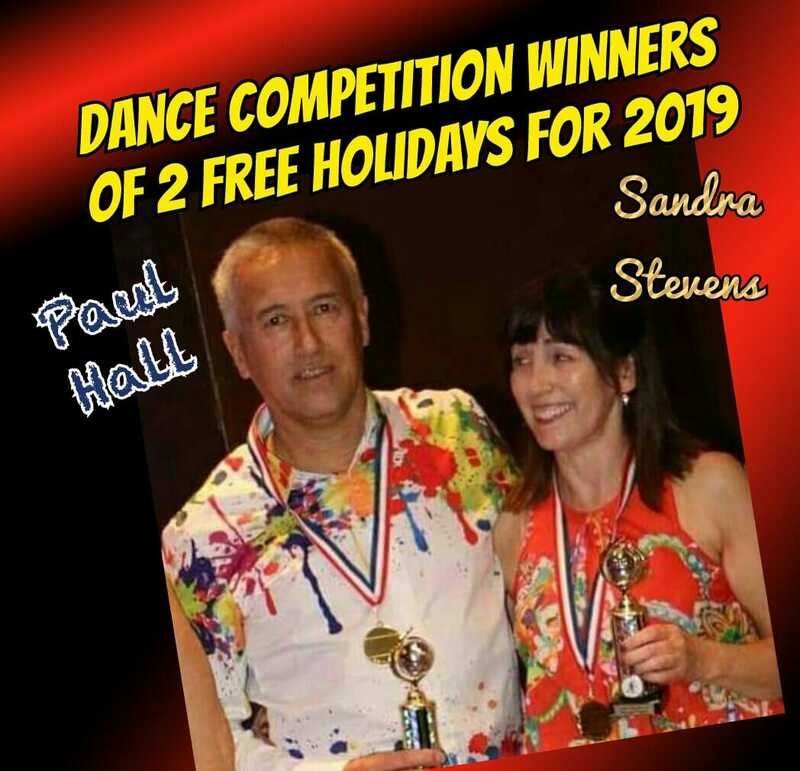 Join us later in 2019 on the 12th Costa dance holiday, where thousands of dancers have enjoyed a great social/dance experience. The Costa family has grown in the last 5 years, with dancers joining us from all over the UK and beyond. Whether on your own, a couple or part of a group you will all be welcome, and get to know people very quickly. We strive to gender balance where possible to ensure plenty of dancing all round.